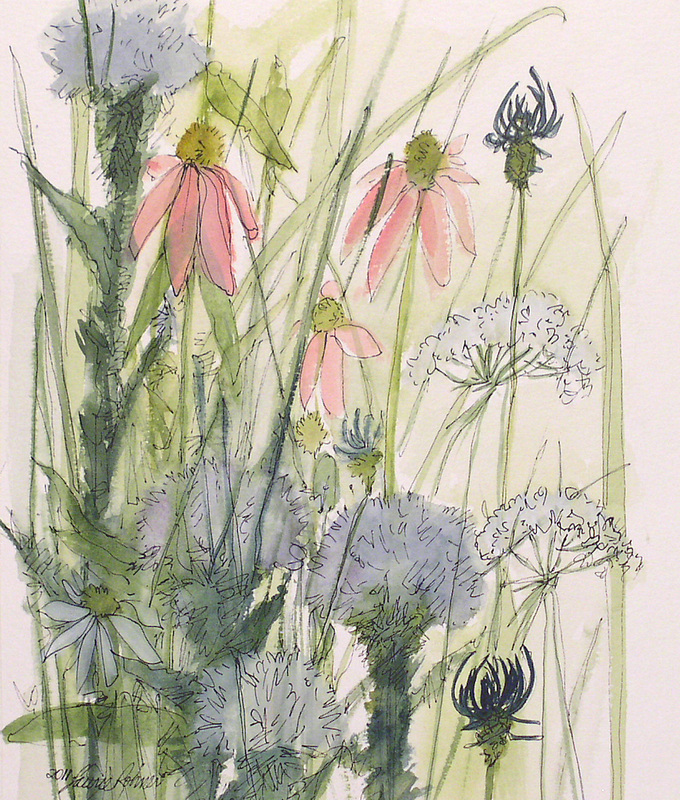 SOLD Watercolor painting illustration of botanical garden wildflowers painted in soft warm colors plus a pop of dark green and navy. 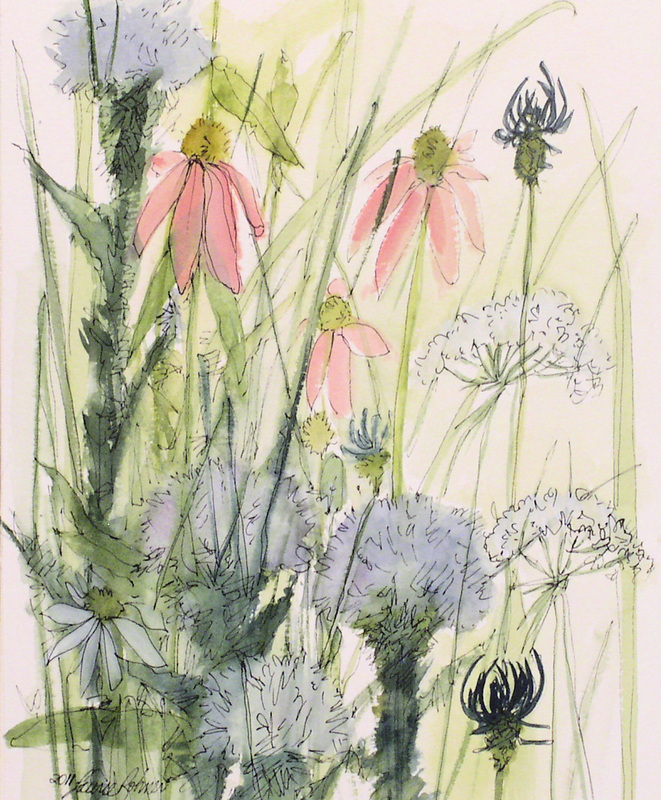 An illustration natural history style painting of field flowers. 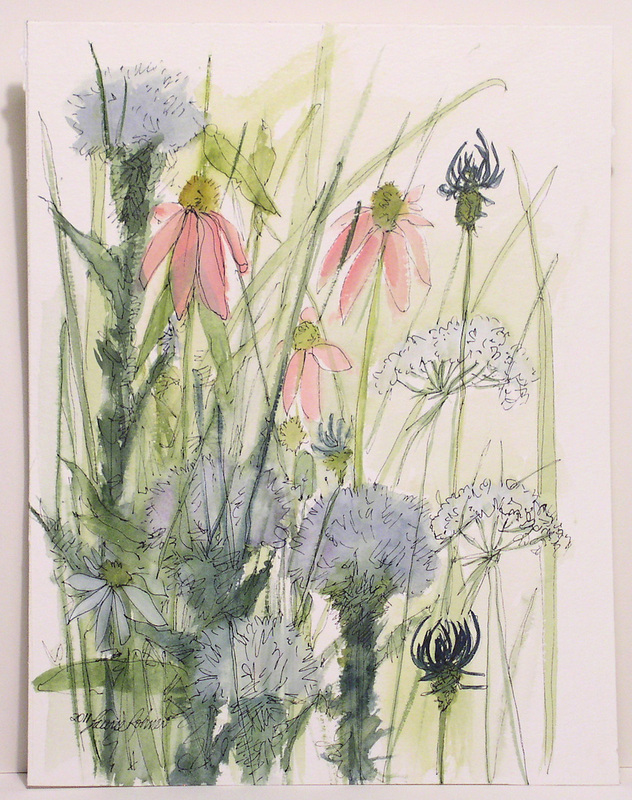 There are thistles, coneflowers, grasses and queen anne lace. I even added some pen and ink. Palette Colors: pink, blue, green, periwinkle, sable, white, dark blue. I use the finest watercolors. The paper is 150lb. rag acid free. Will fit 8 x 10 matte. Can be framed or mounted.